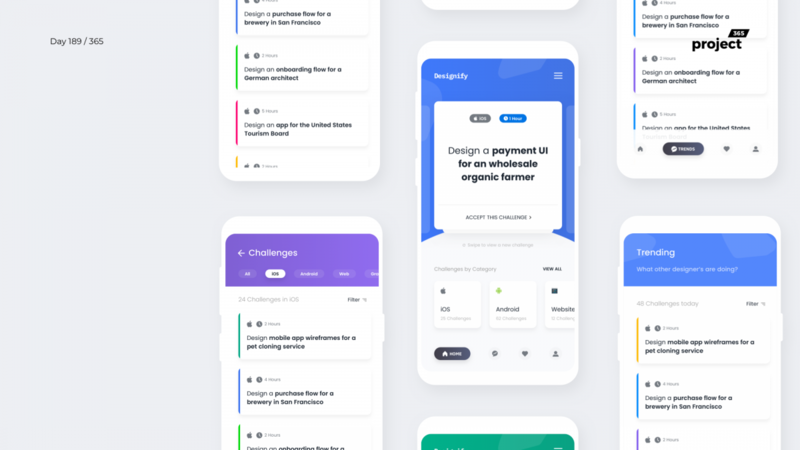 Brief: To design a mobile app that would generate new design challenges for designers to practice. This is a super fun app that I thought would be helpful for fellow designers out there! 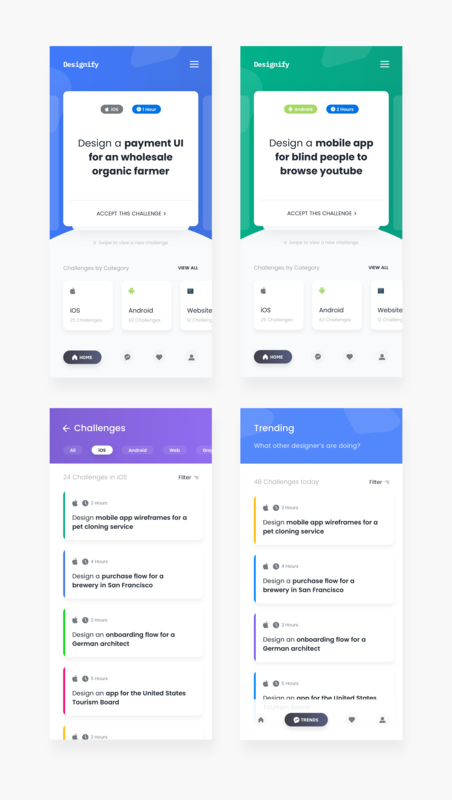 A tinder like swipe for different design challenges that you can take upon! Take challenges based on platforms, time and more! Basically, this would help you learn through practice. More like the challenge that I’m doing right now.